China is producing more gold, but its consumption of the metal is growing still faster. The world’s second-largest economy is projected to surpass India as the world’s top gold consumer this year, with more than 1,000 tonnes (1,102 tons) of gold purchases. Gold shipped from Hong Kong to the mainland, the traditional route for Chinese demand as gold bullion imports are a state secret, nearly tripled to 855 tonnes in the first nine months of the year, Reuters reported Wednesday. In addition, Reuters calculated that at least 133 tonnes have been shipped directly this year, based on data from Global Trade Information Services, as global gold prices slumped by a quarter this year. The actual figure could be even higher as the calculation does not factor in sales information from gold exporters from Britain or Switzerland or purchases from China’s central bank. Hong Kong-based consultancy Precious Metals Insight estimated that the central bank bought 300 tonnes of gold in the first half of the year alone, and that pace may have been maintained in the second half as China looks to diversify its holdings away from U.S. Treasury bonds, said Philip Klapwijk, managing director of Precious Metals Insight. Refineries from Switzerland similarly saw leaps in sales to Hong Kong and China. Swiss-based refinery Argor-Heraeus, one of the biggest in the world, saw about 70 percent of its kilobar production shipped to China. "From April to August, we saw very large volumes from all our refineries headed to Asia," said Scott Morrison, chairman of gold refiner Metalor, adding that the bulk of the company's production in Hong Kong went to China. The surge in demand puts China way ahead of India, where government restrictions aimed at supporting the currency and reducing current account deficit have curbed bullion imports, Reuters reported. 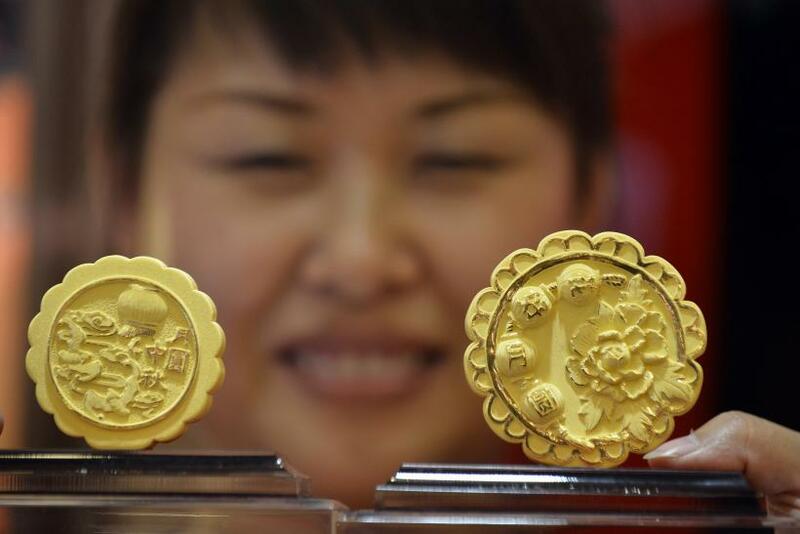 Notably, China’s gold output in the first nine months of the year also rose 6.8 percent to 307.9 tonnes, but the increase is far from being able to satiate its demand for the precious metal, Xinhua reported on Wednesday. China has been the world’s largest gold producer since 2007, overtaking South Africa.